New Delhi, Nov 16: The Congress on Wednesday accused the Modi government of mastering the art of indulging in economic disasters owing to its faulty policies, leading to a fall in exports and expanding trade deficit, apart from rising prices. "A disaster called the Modi government has struck the Indian economy for the last three and a half years. Be it demonetisation or a flawed Goods and Services Tax regime, the Modi government has struck one blow after another and hit India's economy," Congress Spokesperson R.P.N. Singh said. 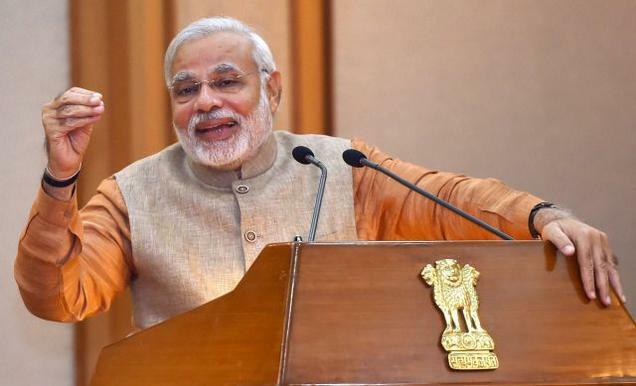 "The most glaring aspect of ‘Modinomics' is that it has diminished India's strong trade fundamentals and left its image battered due to its faulty policies, which have led to miserably plunging exports and expanding trade deficit," he added. The Congress leader said: "If this was not enough, a fresh crisis is brewing as price rise raises its ugly head." He said India's trade deficit was close to a three-year high. "Trade deficit, the gap between imports and exports, stood 25 per cent higher compared with last year at $14 billion, according to Commerce Ministry data." "The trade gap stood at $8.9 billion in September. This trade deficit is the widest since November 2014. The value of exports in October fell 1.1 per cent over last year to $23.1 billion. Due to the government's ad-hoc and amateurish policies, exports have been on a downtrend since 2014," he added. Singh said due to the flawed GST, exports in labour-intensive sectors have been hit hard. "Twelve of the 30 major export groups registered a decline in October." Reeling out statistics, the Congress leader said the fall in exports included 39.2 per cent in readymade garments, 24.5 per cent in gems and jewellery, 9.8 per cent in leather and its products, 6.9 per cent in electronic goods and 27.53 per cent in fruits and vegetables. "Wholesale inflation accelerated to 3.59 per cent in October, a six-month high, on the back of increasing prices. This was mostly driven by food and fuel prices," said Singh. "The food articles segment saw inflation at 4.3 per cent in October, climbing from 2.04 per cent the previous month. Price of electricity and fuel have risen at the highest point in three months," he added. Singh pointed out that cooking gas prices have increased by 26.53 per cent, diesel prices by 15.43 per cent and petrol by 12.87 per cent.